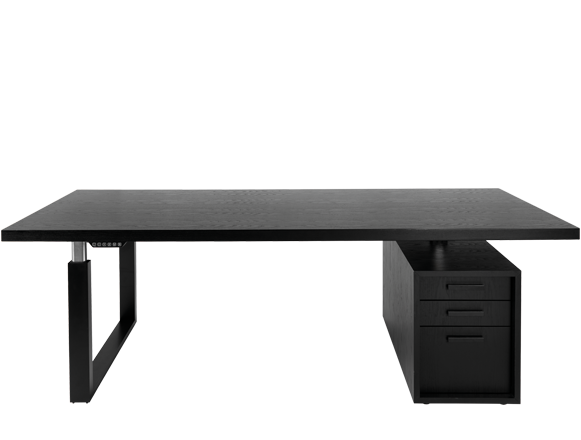 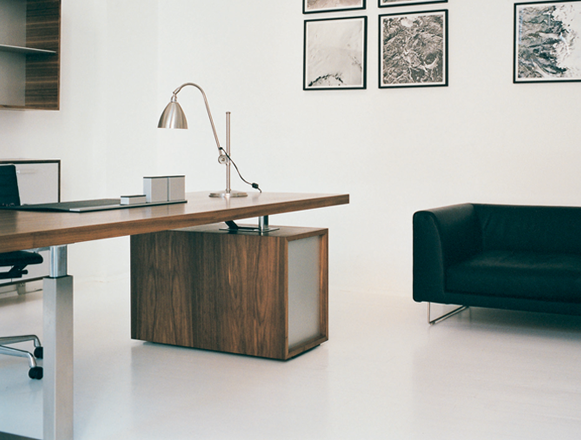 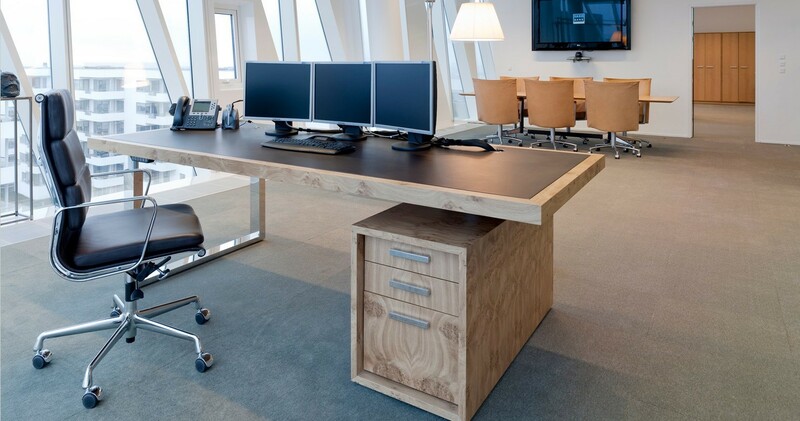 Go-Desk is a series of work tables available with electric height adjustment or in fixed height. 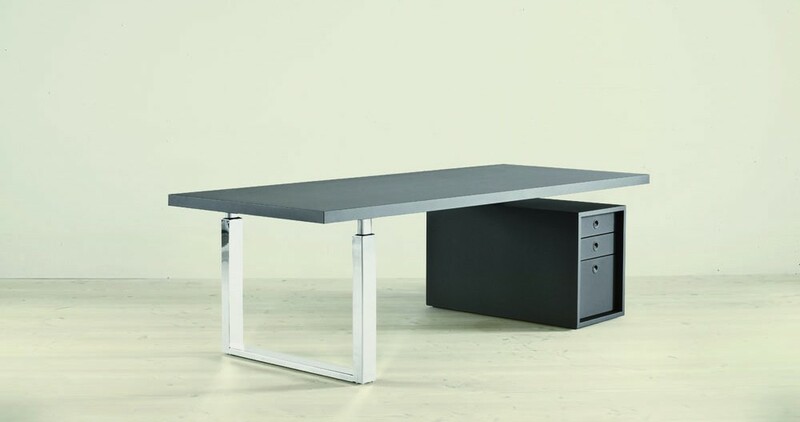 The leg frame for the Master table is delivered in polished or brushed stainless steel. 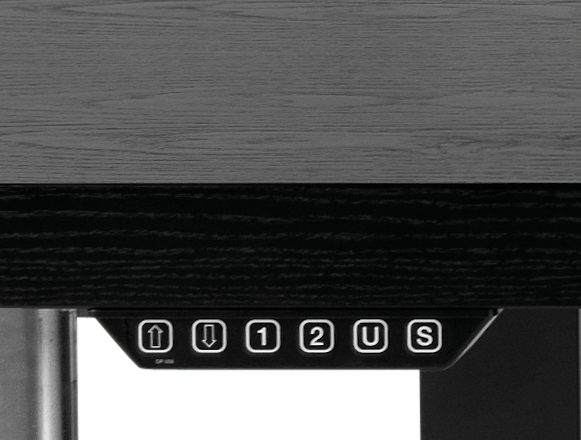 The tables have an integral storage unit. 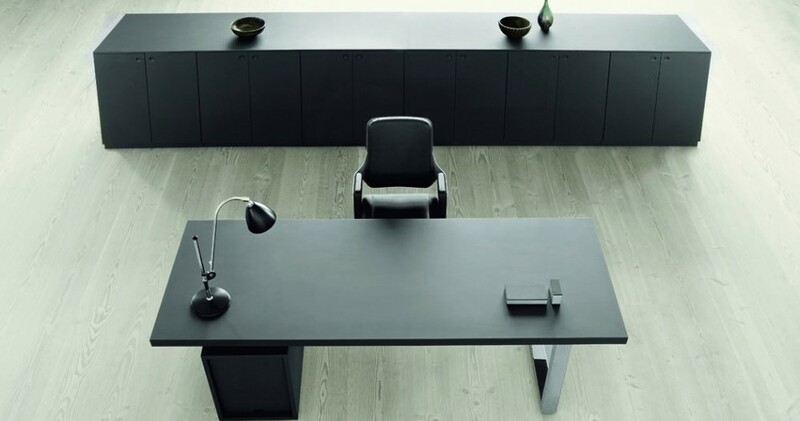 The table top is 5 cm thick and offered in various finishes. 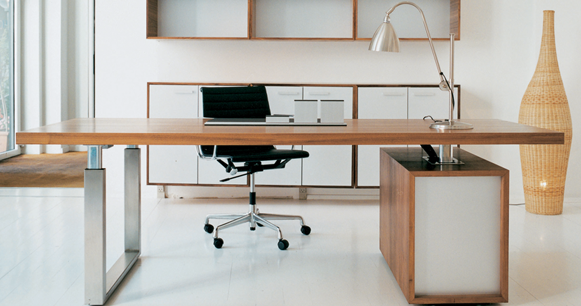 The Go-Desk drawer unit is offered in finishes matching the table tops. 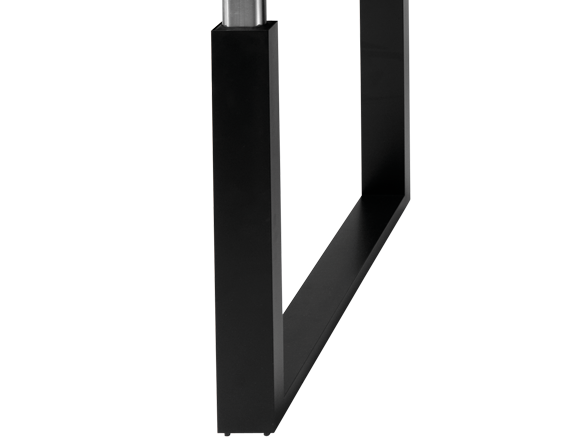 In the standard version the front and the rear panel are in aluminium. 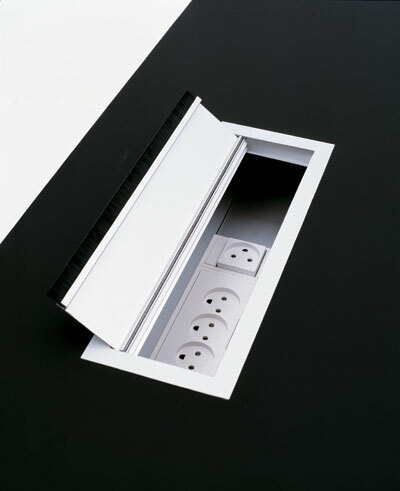 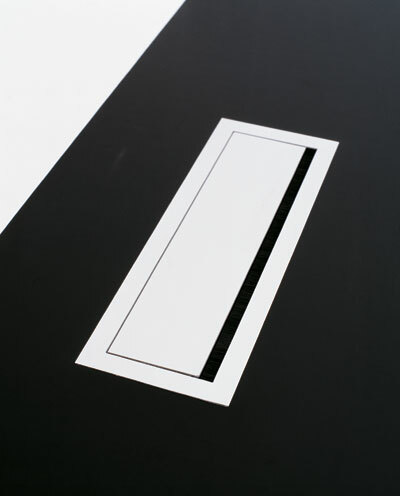 However, white painted drawer units are delivered with white painted front and rear panel, black soft coating drawer units with front and rear panel in black softcoating and black linoleum drawer units with black linoleum front and rear panel. 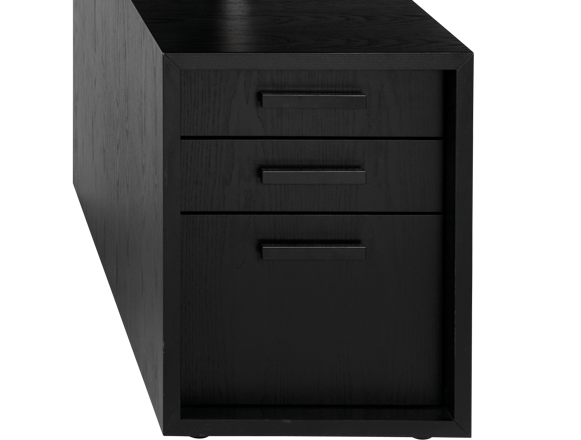 Against a surcharge the table tops and drawer units are available in other finishes and sizes than the ones listed below.